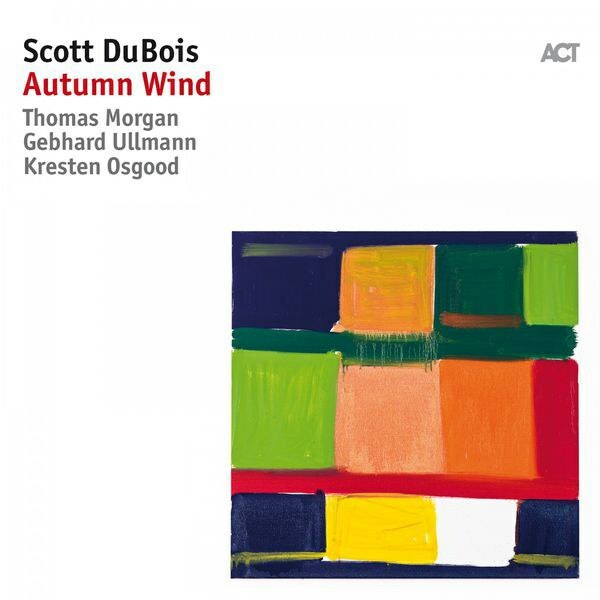 Scott DuBois is one of those highly capable guitarists who uses subtle tricks to paint broad pictures, and Autumn Wind is one vast modern jazz canvas. Modern jazz guitarist Scott DuBois has always kept a distance from the business-as-usual jazz guitar antics of Wes Montgomery wannabes, even when he was performing within what has long been considered a traditional jazz ensemble. With Autumn Wind, the follow-up to his 2015 CD Winter Light, DuBois appears to be broadening everything about his art. Not only are the compositions fleshing out, but the personnel hired to record them are growing accordingly. In addition to a standard jazz quartet featuring Thomas Morgan, Kresten Osgood, and the peerless Gebhard Ullmann, there's also a string quartet and a wind quartet taking turns giving DuBois's Autumnal compositions that extra shading that will keep Autumn Wind forever distinguished from countless generic jazz guitar albums. Eva León, Conway Kuo, William Frampton, and Sarah Rommel provide the strings while Erin Lesser, BJ Karpen, Elisabeth Stimpert, and Michael Harley give us extra woodwind textures apart from Ullmann's tenor sax and bass clarinet. That may sound corny, but I mean it as a high compliment: Autumn Wind is the best kind of well-rounded jazz album one could ask for. Autumn Wind moves through lengthy cycles, starting with a solo guitar piece named "Mid-September Changing Light" and arriving at "Mid-December Night Sky" followed by a nod to an Aurora Borealis and a reprise of a string quartet reprise of "Mid-November Moonlit Forest". It takes one hour and eight minutes to go through the whole cycle. If you fail to become hypnotized by the Fall synesthesia early on, you'll get plenty of chances later to make up for it. True to many ACT releases, Autumn Wind is a jazz album unlike any other -- if you even want to call it jazz. There are touches of 20th-century chamber music as well as a gentle nod to the avant-garde. There is hard bop complete with drum solos and dive-bombing saxophone, offset by cozy bits of chamber jazz that could be anything by "boppy." The start of "Early November Bird Formations" gives me neoclassical flashbacks à la Penguin Cafe Orchestra. Sometimes guitar effects drive the piece, as with the opening number. Sometimes, Dubois's guitar is barely altered at all and never ends up becoming the centerpiece. Just as genre becomes a fluid variable in Autumn Wind, so does the mood of the music itself. DuBois's Autumn isn't always as contemplative as one would normally perceive. It is, at turns, peaceful, tense, or hurricane-like in its atmosphere. Even in the most pensive moments, the delayed dysfunctional harmony can give your average jazz guitar calm a glaring four-dimensional depth that can wipe away any rendition of "Autumn Leaves". What I'm trying to say is, in making an album devoted to one season, Scott DuBois has also created an album for all seasons, both inside and outside of the calendar. Honestly, he can stop right now, and his reputation for a forward-thinking artist would be firmly cemented. But knowing that he already tried winter before this, there's probably more coming, and there's certainly no downside to that. I can't wait to hear him score global warming.